For patients who have mild to moderate impairment after a stroke, researchers at Emory University and six other sites have determined that a structured, task-oriented rehabilitation program did not significantly improve motor function or recovery beyond an equivalent or lower dose course of occupational therapy. The results were published in the Feb. 9 issue of the Journal of the American Medical Association. Clinicians providing care for patients who have sustained a stroke lack evidence for determining the best type and amount of motor therapy during outpatient rehabilitation. Clinical trials suggest that higher doses of task-oriented training might be superior to current clinical practice for stroke patients with mild to moderate upper extremity motor deficits. The five-year, $13.5 million clinical trial screened more than 11,000 stroke survivors, three months following their stroke, for this research study. Of those screened, 361 were enrolled at one of the seven sites and were randomly divided into three groups for stroke rehabilitation: 1) structured, task-oriented upper extremity training (Accelerated Skill Acquisition Program or ASAP), 2) dose-equivalent usual and customary care (DEUCC) or 3) monitoring-only occupational therapy, known as usual and customary therapy (UCC), the dosing for which might vary based upon patient insurance coverage. The ASAP group received 30 one-hour treatment sessions, three times a week for 10 weeks. This group chose tasks during their therapy that were meaningful to them – tasks they used in everyday life prior to their stroke, which they wanted to regain (painting, cooking, braiding hair, etc.). The DEUCC group received a prescribed 30 hours of standard outpatient therapy. The UCC group was monitored during an average of 11 hours of occupational therapy (standard of care) over the 10-week period, but this amount varied considerably (0-46 hours), based upon insurance coverage. 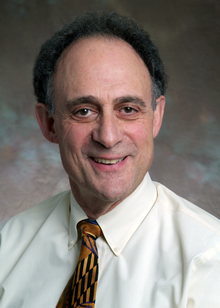 "The goal was to determine if a higher level of occupational therapy, involving daily tasks chosen by participants, was better than usual and customary occupational therapy or therapy with a set number of hours," says Steven Wolf, PhD, PT, professor of rehabilitation medicine and internal medicine, Emory University School of Medicine and principal investigator of the study at Emory. "This new approach with the ASAP group encouraged participants to problem solve, by posing questions to them during therapy. We have learned that problem solving leads to functional plasticity changes in the brain, and that has proven more beneficial to stroke patients than just repetitive activities," Wolf says. Primary outcome assessments after 12 months resulted in no significant improvement in motor function or recovery among any of the groups, based on timed scores. The structured, task-oriented ASAP group was not superior to the usual outpatient occupational therapy for the same number of hours, as originally thought. No additional benefits were shown using meaningful tasks to participants. However, ASAP participants’ favorable responses to questionnaires regarding the impact of the intervention on their lives was significantly greater than the other two groups following their respective interventions. With payer pressures on reducing inpatient rehabilitation, outpatient rehabilitation may be of greater importance for patients with stroke. The results suggest that usual and customary therapy does improve upper extremity motor function, but that more than doubling the dose of therapy does not lead to meaningful differences in motor outcome. Wolf explains, "Another way to look at it is the results afford clinically the opportunity to use different approaches to treat patients. One can use the usual and customary approach therapy. Or one can use the ASAP model to problem solve, using tasks most important to the patient. Both options will serve patients well following stroke." Wolf went on to note that, "Since this study only looks at stroke participants with mild to moderate impairment, these results are beneficial to about 25 to 30 percent of all stroke survivors. Patients with more severe impairment were not studied in this clinical trial and so one should not conclude that the results are applicable to all stroke survivors." The National Institute of Neurological Disorders and Stroke, a part of the National Institutes of Health, and the National Center for Medical Rehabilitation Research of the Eunice Kennedy Shiver National Institute of Child Health and Human Development funded this trial.